A proposed law that would allow the privately-run Royal College of Surgeons in Ireland (RCSI) to call itself a university has sparked controversy. The unusual legislative move would create a new breed of college that could use the university title outside the State but not at home. 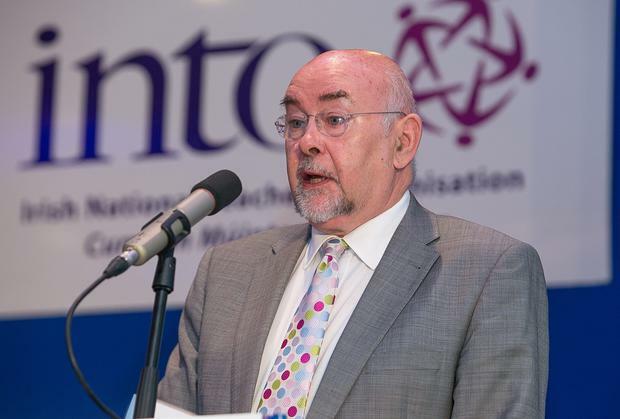 The proposal is contained in the Education (Miscellaneous Provisions) Bill published by Education Minister Ruairi Quinn. It has infuriated Irish universities, which warn that it could undermine the value of the title and the reputation of the sector internationally. The draft legislation provides for an education provider to describe itself, in certain circumstances, as a university, and is intended to be used only in very restricted circumstances. Uniquely for the third-level sector, the requirements stipulate that at least 40pc of the total number of students in the college must be from outside the EU. The college would also have to be authorised to make awards to, at least, doctoral level, which are recognised by the State. While the bill does not name the RCSI, the criteria set out in it for the new-style university are a tailor-made fit for the St Stephen's Green College. RCSI, which is well known for its undergraduates and post-graduate courses in medicine and other health sciences, attracts very large numbers of international students. RCSI has over 3,200 undergraduate and postgraduate students, most of whom are full time, and 54pc of those were from outside the EU. The proposed new law is linked to moves to attract more international students to Ireland and concerns expressed by the RCSI that the term "college" does not attract the same attention as "university". The issue is a problem in the United States where college is taken to mean second-level. So, under the legislation the term "university" may be used for marketing purposes, or for pursuing collaborative projects related to training and research.